beach from the villa. The water is only a few hundred feet from the villa! Villa Dawn is the villa with the pool centered on the map below. You can use the zoom control to to see it's exact location on the island. 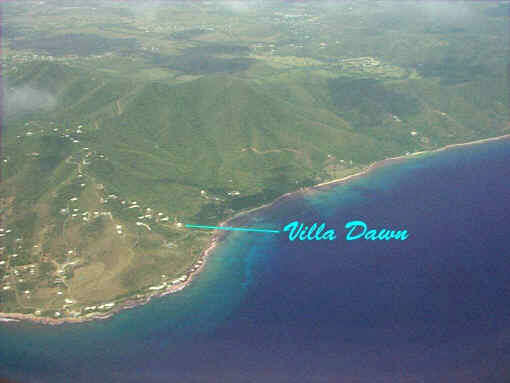 Click here to view a Larger Map of Villa Dawn's location on the island. Use the "Toggle fullscreen view" icon on the image below to see street views of Cane Bay. You are looking right at Villa Dawn's driveway on the right in this view.